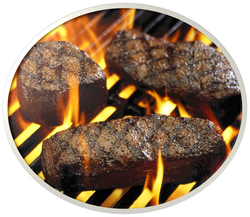 Smoke Grill BBQ is your information source for all things cooked over an open flame. Learn some of the basics in our BBQ school and test your skills with one the widest selection of recipes online. Want to grill like a pro? Humans have been perfecting cooking methods over a fire for centuries. Don't plan to learn the skill by grilling brats on the 4th. The first thing a grill master must learn is not to let the flame take control. It takes more than just knowing when your food is done. Our recipes have been hand crafted by chefs who have been cooking different meats, vegetables and seafood on the grill for decades. Get the ingredients, step-by-step instructions and tips along the way to ensure you cook your next meal to perfection. A modern grill master embraces the latest technological advances when it comes to cooking their food. 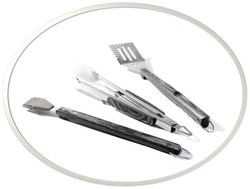 Get everything from utensils to remote monitored digital temperature gauges to keep ahead of the curve to serve a consistent dish every single time.